This lovely bar brooch is in 18ct yellow & white gold. 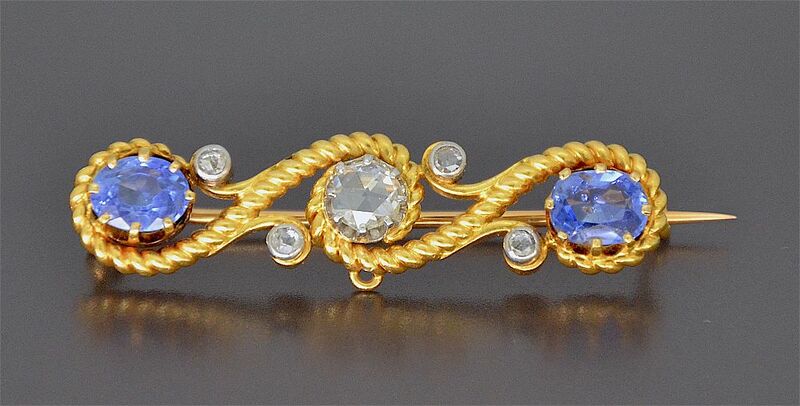 In the centre of the brooch is a round rose cut diamond flanked by two oval sapphires and four smaller rose cut diamonds all in a rope twist border. The fastener has the French owl mark and another indecipherable mark. A lovely piece.